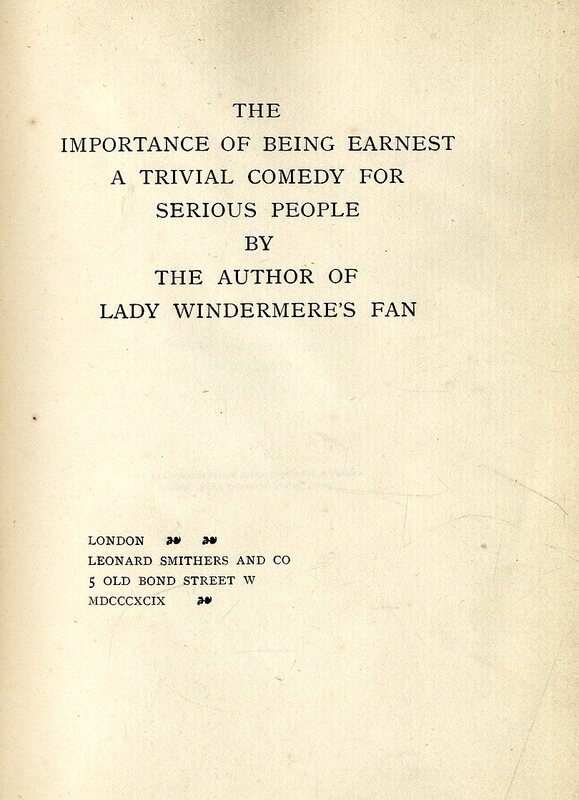 [Wilde (Oscar)] The Importance of Being Earnest, A Trivial Comedy for Serious People. Sm. 4to L.